Swans are very elegant birds and gentle in nature. 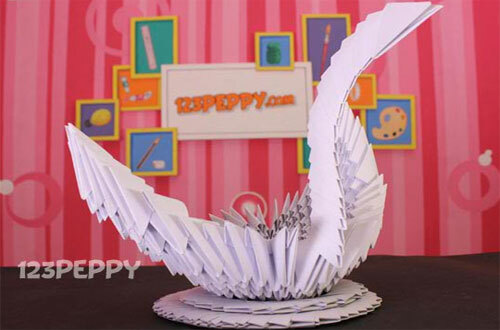 Learn how to get creative with this origami swan craft. This is a very simple origami swan with video tutorial and step by step instructions on making an origami swan. For elementary school and preteen kids.